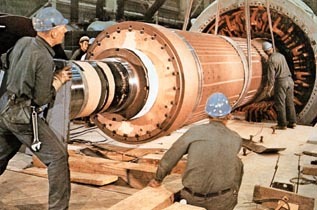 Unit 2 of Metropolitan Edison Company’s nuclear generating plant at Three Mile Island (TMI) on the Susquehanna River in Middletown, Pennsylvania began commercial generation of electricity. 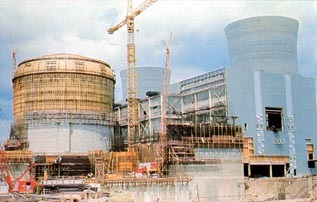 Please read “A Nuclear Nightmare in Pennsylvania” article by Mark Stencel for a more detailed narrative of the days surrounding the accident. 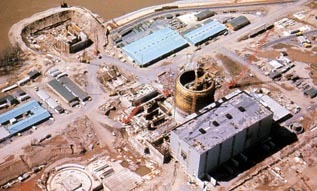 These photographs are of the Three Mile Island Unit 1 under construction. The two units are very similar in design.